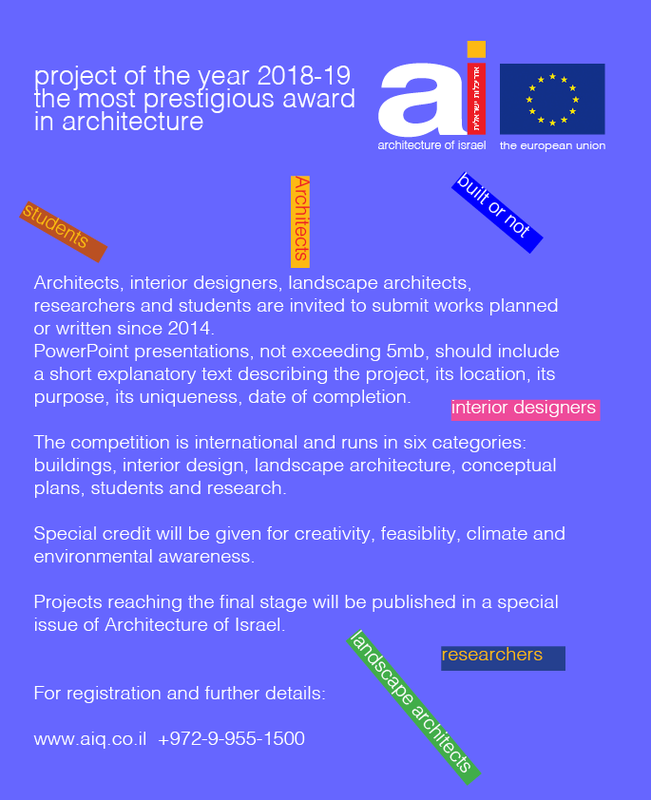 Architects, interior designers, landscape architects, researchers and students are invited to submit works planned or written since 2014. PowerPoint PDF presentation, not exceeding 5mb, should begin with a short explanatioin describing the project, its location, purpose, its uniqueness, and date of accomplishment. The competition is international and runs in six categories: buildings, interior design, landscape architecture, conceptual plans, students and research. 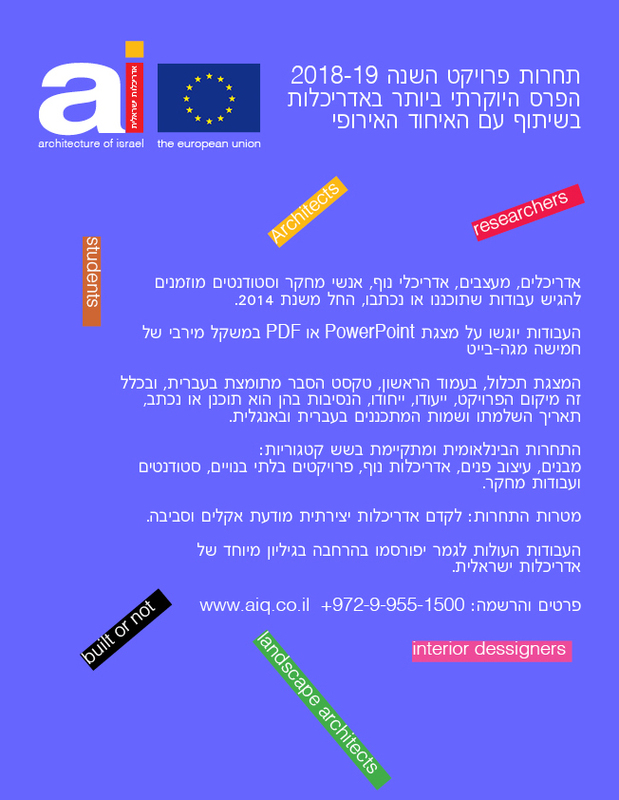 Special credit will be given for creativity, feasibility, climate and environmental awareness. תודה על בחירתך באדריכלות ישראלית. מטעמי בטיחות, ניצור עמך קשר חוזר לביצוע התשלום.